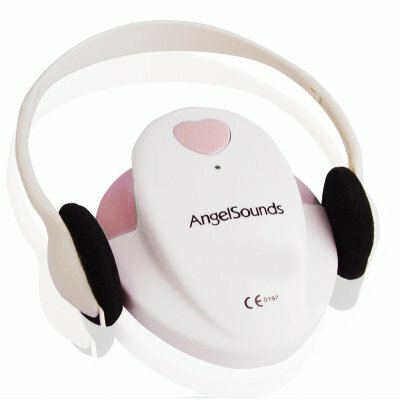 Successfully Added Fetal Microphone - Pregnancy Heartbeat Detection -Pink to your Shopping Cart. Fetal Microphone - Pregnancy Heartbeat Detection -Pink. Baby heartbeat monitor: listen to your baby's heart as they develop. Monitor the baby's health safely and easily from the comfort of your home. This is a completely passive device, it's just like putting a microphone up to the baby, there are no transmitted emissions. One of the most wonderful things to ever happen to a woman can be pregnancy, and everyone remembers when they visited the doctor and heard the fast little heartbeat the first time. With this fetal Doppler, you can repeat that experience any time you want. Plug in any 3.5mm headphones or earphones to listen as the babies heart beats, and as a cool added bonus, record the audio directly to an audio recorder to share with others anytime. A super item that every soon to be parent is sure to want, Chinavasion is proud to carry this item at the lowest possible factory direct wholesale price with our famous one year product warranty. Order yours today! Using a cream to lubricate the skin (aloe-vera gel for example) will assist in good contact and ease of use for best results. This is a wonderful product. It has saved my wife and I so many sleepless nights, definitely a must for any expecting parents.